A little over a year after David Attenborough warned in Blue Planet II that marine habitats are being destroyed, the UK government’s „blue belt“ initiative shows progress in protecting endangered waters. The scale of the project is vast, aiming to protect over four million square kilometres of British waters from fishing and pollution by 2020. Awareness about how humans are destroying the oceans — primarily through overfishing, climate change, and plastic pollution — has been on the rise ever since, with the likes of actor Stephen Fry, model Cara Delevingne, and celebrity chef Hugh Fearnley-Whittingstall tweeting their support for ocean protection. However, a recent UK government initiative could be the key to saving the oceans. Launched in 2017, the so-called „blue belt“ is a programme which aims to safeguard the coastline of the UK and its overseas territories. In Britain itself, that includes an area of coastline nearly eight times the size of greater London. But the majority of the blue belt lies beyond British shores in the UK’s 14 overseas areas, from huge penguin colonies in the South Atlantic and tropical rainforests in the Caribbean to tropical rainforests in the Caribbean. In those overseas territories, some 85% of the critically endangered species the UK is responsible for are found. The scale of the project is vast, aiming to protect over four million square kilometres of British waters by 2020. So what is the blue belt? 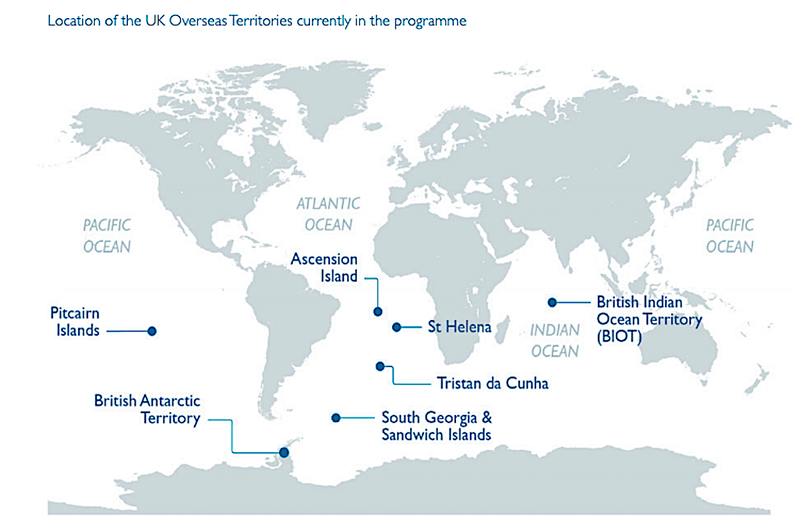 The blue belt is a series of marine conservation zones around the UK and UK territories‘ coastline. Any new activities which harm wildlife — such as dredging, or any significant building projects — will be banned in those areas. Commercial fishing is also being banned in large parts of the blue belt. As part of the blue belt initiative, the government announced that commercial fishing would be banned from one million square kilometres around British overseas territories. It also created marine protected areas around four islands in the Pacific and Atlantic, including an 840,000 square kilometre area around Pitcairn, and a 445,000 square kilometre area around St Helena, which is home to rare whale sharks and humpbacks. The UK government also plans to designate two further protection zones, one each around the south Atlantic islands of Ascension by 2019, and Tristan da Cunha by 2020. Fishing is banned in all of Pitcairn’s zone — except for „sustainable“ local fishing — and will be banned in half of the Ascension’s 445,000 square kilometre areas. Fishing is allowed in the other areas, but activities such as oil drilling are prohibited. In overseas territories, it helps protect the vast amount of coastal wildlife: Breeding grounds for endangered turtles, one-third of the world’s albatrosses, and one-quarter of the world’s penguins are all located within British Overseas Territories, according to Defra. Along Britain’s coastline, it is important for the purposes of protecting rare and endangered British species such as the short-snouted seahorse, the stalked jellyfish, and the peacock’s tail seaweed. 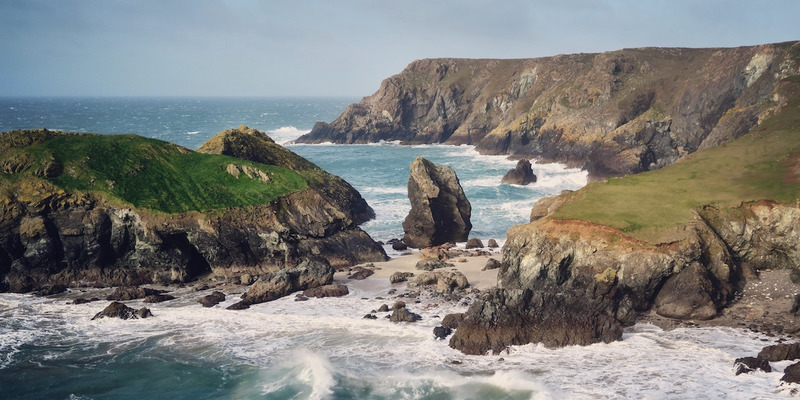 There are many other types of marine protected areas in the UK too, which are designed to protect rare or nationally important habitats, meaning a total of 209,000 square kilometres of British coastline are protected in total. That’s two-fifths of Britain’s entire coastline, according to Defra. Will the blue belt be enough? It’s too early to tell in the UK’s overseas territories, where the success of the project will not be known before it is fully rolled out in 2020. But it certainly appears to be helping in the UK. The Wildlife Trust announced in December that 2018 had been a good year for British wildlife thanks to the help of conservation action in Britain’s coasts, with increasing sightings of marine wildlife. The organisation said seahorses, little terns and crawfish are among the creatures making a comeback in UK seas, with dozens more animals being spotted in greater numbers: nudibranches (sea slugs) and curled octopuses were all spotted in greater numbers too. Basking sharks were seen in Cardigan Bay, Wales, for the first time in three years. However, there is still a huge amount of work to do before our oceans are clean and our species are protected. Plastic – mostly from fishing rope – is now found in almost 100% of gannet nests, posing a big risk to the iconic birds and their chicks. On one estuary in Kent alone, nearly 3,000 kilograms of rubbish were collected in a clean-up drive, the Wildlife Trust said. Dr Lissa Batey, senior living seas officer at The Wildlife Trusts, said in a statement: „This review of sightings and action from across the UK has given a glimpse, a mere taster, of the wonders of our marine wildlife – delightful species that everyone has the opportunity to encounter and learn more about. „But it has also shown us the problems that remain and the challenges that our sea life faces. Protecting our oceans in the long-term will require even greater public awareness, co-operation with key industries such manufacturing and fishing, and significant investment. But the recent recovery of dwindling species offers a glimpse of what marine conservation efforts can achieve.